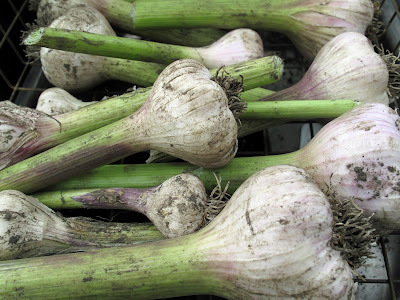 In between the rain showers we harvested this years winter-planted garlic. 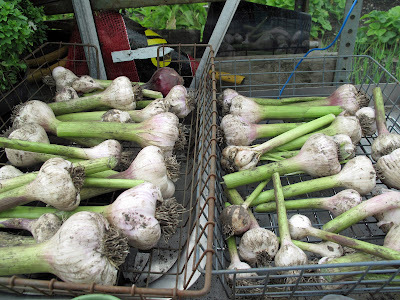 I haven't had to buy garlic for the last 2 years, and hopefully I won't have to this again this year! 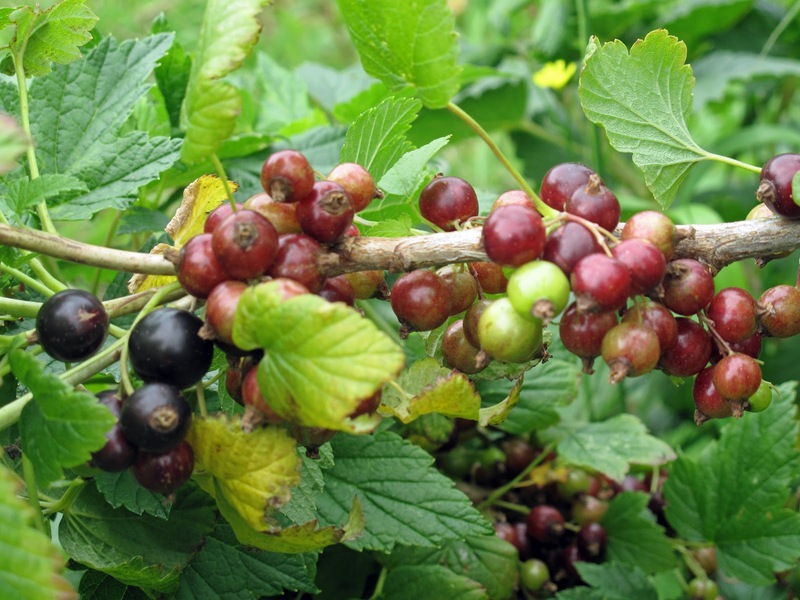 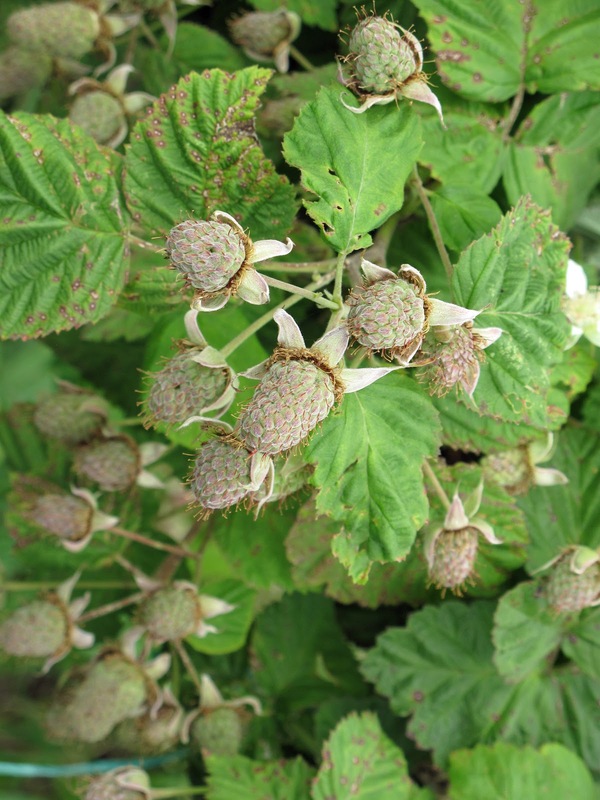 It looks like we'll get a bumper crop of blackcurrants this year. The branches are so heavy with fruit that some of them are touching the floor. When the currants on these branches are ripe (as you can see below, some of them are already) am I going to cut the branch off and harvest them that way. 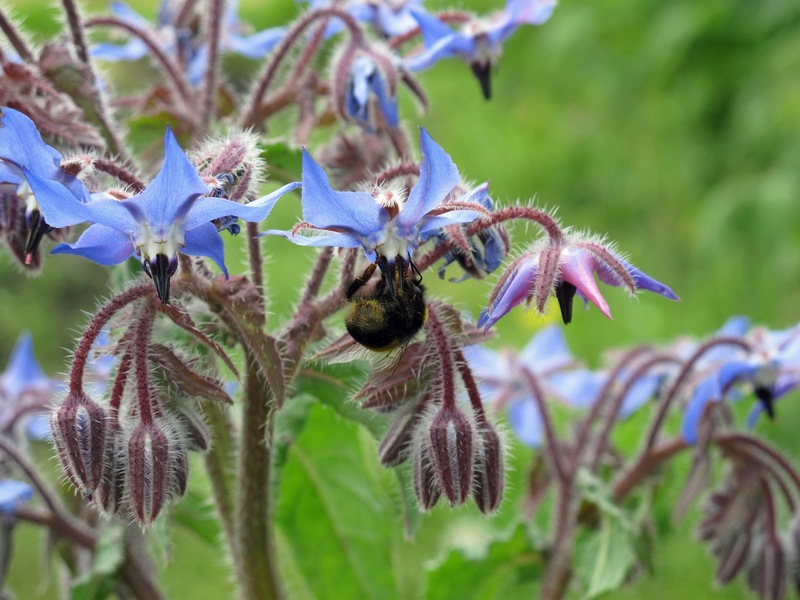 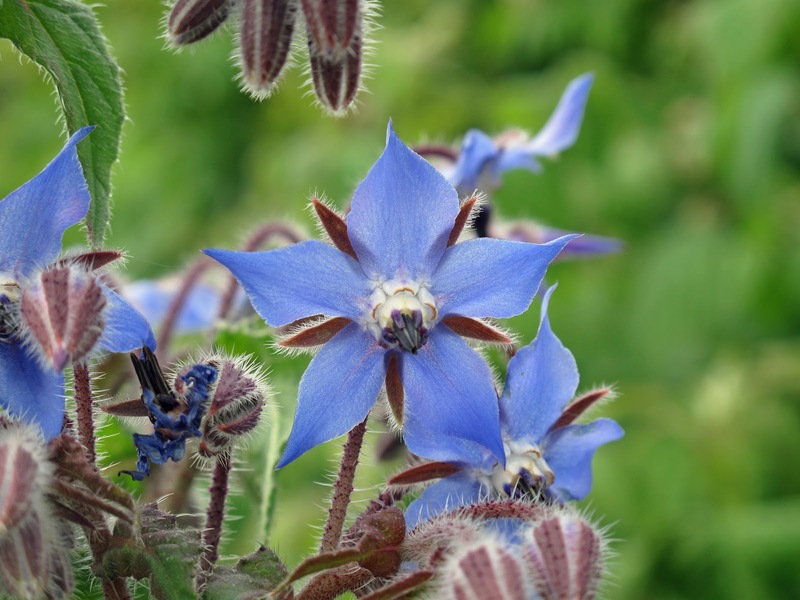 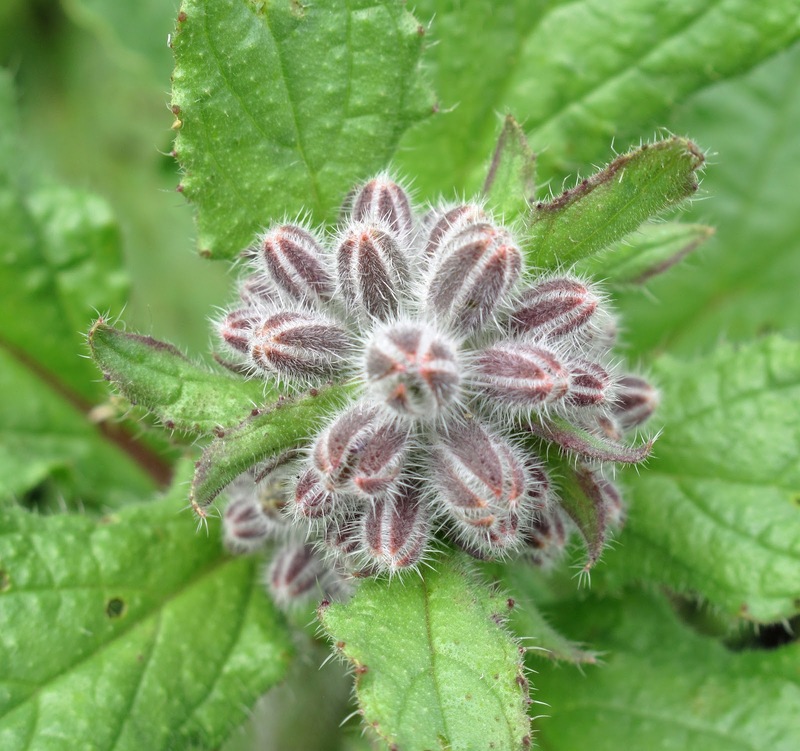 We grow some borage (Borago officinalis) or starflower, each year and lo and behold some new plants have sprung up around the plot. The flowers are so pretty (open and unopened as below) and the bees love them. 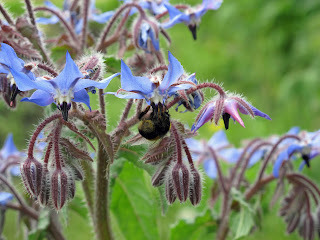 Will I ever be able to visit the allotment?